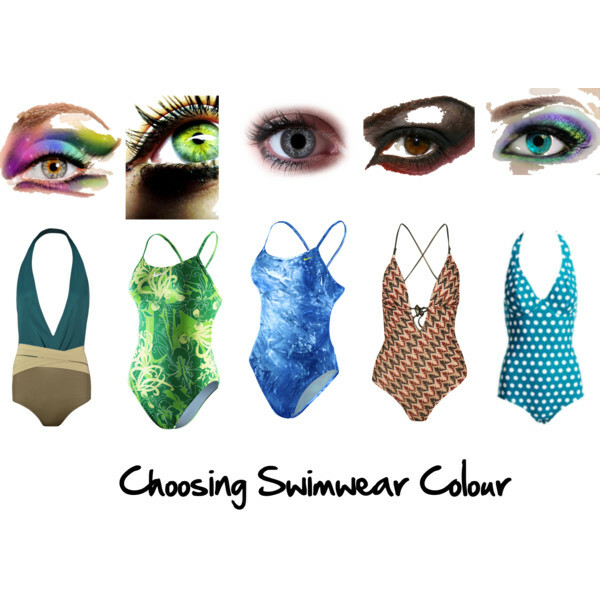 How do you choose a colour for your bathers? Swimwear can be tricky to purchase at the best of times for many of us! 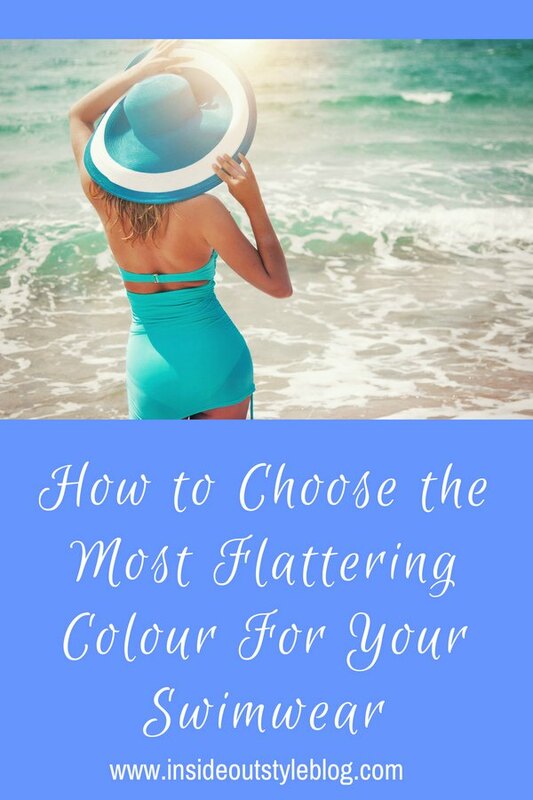 And wearing a swimsuit can feel very exposing, so finding a colour that will draw attention away from your body and to your face is a great way to feel more confident. Often when shopping for swimsuits, the last thing that crosses many women’s minds is what colour to choose (so frequently, black is the way they go, even though it’s flattering for so few), but why not use the power of an eye enhancer to make a great choice and draw attention to your gorgeous peepers. What is an eye enhancer? It’s a colour that brings out the colour of your eyes and makes that colour look more intense. A colour that makes your eyes pop! Eye enhancers are one of your signature colours. To find your best swimsuit colour – look deep into your eyes – note down the dominant colours you see – then find bathers that replicate this colour. You’ll find when you hold the colour up near your face and look in the mirror – your signature colours will make your eye colour look more intense and pop. Eye enhancers are a great colour to choose as they really do focus attention upwards on your face. Then if you want some extra distraction – choose a busy and dense pattern too which can help to camouflage your shape even more. 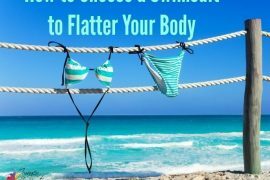 Simple trick but so easy – and in the end – you’ll have a swimsuit that is much more flattering than if you’d gone for that boring, basic black one! 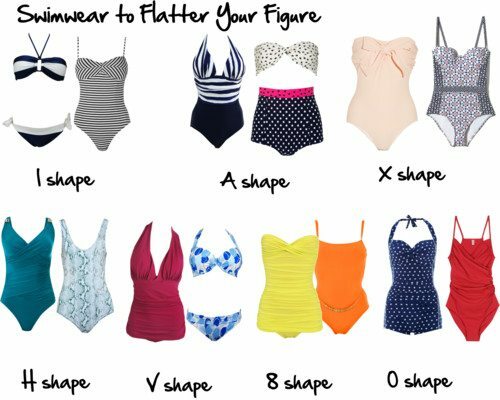 You can also get more tips on choosing a flattering shape swimsuit here. I'm incredibly pale but i go for colours such as royal blue and orange. Sounds awful but (I think) those colours look nice. Should clarify – I go with solids, but I have a few suits and I favour bright and deep colours. I have Hazel eyes and seem to go for cobalt blue. I am a spring too in colouring. Guess i should try Kelly green. I am warm toned white skin. Till now I have been trying to go for skin enhancer: Little texture and a color that make me look tanned: apple green, bright orange, turquoise or periwinkle. But the idea to enhance the eyes is great! Wow, the eyes in the image have pretty creative colouring around them. I've got a couple of tropical prints in the cool palette that works- and keeps the eye moving- but also black, which does minimize my hips. I'm a classic winter, so there is more black in my closet than you or anyone in her right mind might advise. Looking back, I have owned more than my share of blue swimsuits, even though my eyes are more hazel-toned. I definitely avoid red/pink/yellow as I'm not sure they flatter super-pale skin. The recent purchase that I love is a tankini with matching shorts – the shorts are designed to get wet and I love the option of having a bit more coverage. I wore them for a work pool party – enough said?? This is something I never think about! Well, I try not to think about buying swimwear at all. But drawing attention to the eyes is a great idea. How about contrast, like a blue swimsuit for a brown eye and vice-versa ? I'm asking because I'm brown eyed and I dislike brown swimsuits… they always look kind of.. well.. brown and tired. Similar to black swimsuits (yuck). The same. Bring enigmatic and basisally brown eyes, almost neutral skin & brown hair, brown bathers seem so boring. I like a poppy red. Brown, brown, brown gets mundane. I’m a pale blue-eyed blonde, 71, with an hourglass figure. When choosing a swimsuit, I consider my background, usually a light & bright Caribbean beach. I generally try to avoid black clothing outdoors: a black swimsuit forms a high contrast silhouette with the pale sand, water & sky — and makes one look more conspicuous & larger. So I go with pastels which blend nicely with the background. Generally I wear shades of blues & greens in a pretty swirl or jungle pattern, but I also have a swimsuit in coral reminiscent of tropical flowers for a nice change!